These are very good, but quite spicy. Good, but the crust was very thick. This book opens with an evocative introduction to the history, geography and traditions that have shaped the culinary culture of these regions, as well as an intriguing commentary on the local festivals and their accompanying foods. This is followed by an essential guide to the classic ingredients. 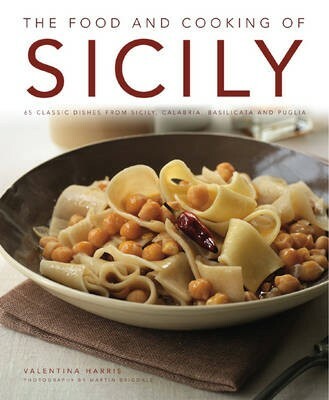 There follows a collection of 65 regional recipes, with chapters covering all the traditional courses including Antipasti, Soups and Breads; Pasta, Gnocchi and Rice; Fish and Shellfish; Poultry, Meat and Game; Vegetables, Eggs and Cheese; and Desserts and Baking. Authentic dishes are included from each region, such as Sicilian Rice Fritters, Pasta with Potenza Ragu, Trapani Fish Couscous, Lucanian Chicken Pie, Pugliese Beef Rolls, Calabrian Sweetmeats and Sicilian Cassata.